Over the weekend I got a chance to look through all 250 reveals and today I want to share some of my favorites with you! 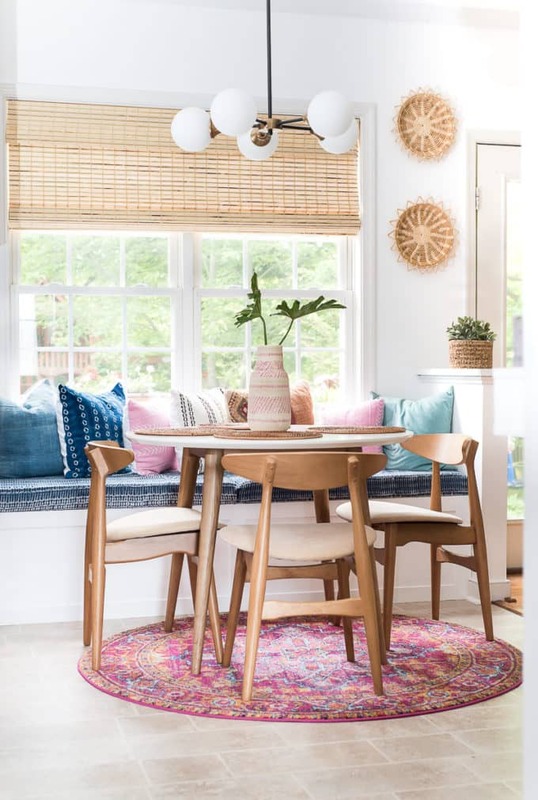 You’ll notice a few things my favorite rooms all share in common. There’s lots of vintage items, deep colors, pops of brass, and wallpaper! 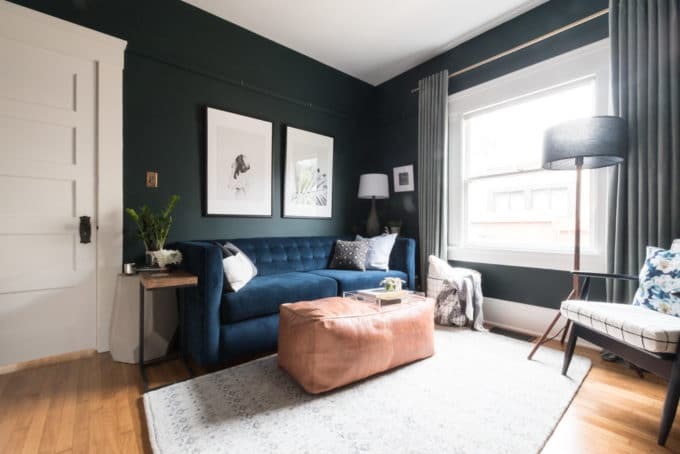 Take a look through these spaces that I loved! Isn’t this living room from Kismet House great? I love how the dark gallery wall sort of disguises the TV. I also LOVE those armchairs from Article. I also love this living room from The Gold Hive. Can you tell I’ve got a thing for dark walls and leather furniture? 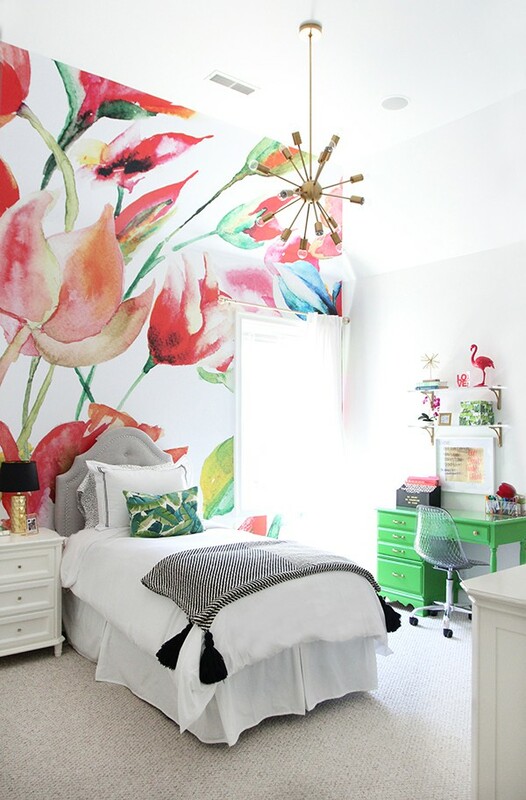 I’m in LOVE with this girl room by Domicile 37. Like me she went with wallpaper from WallsNeedLove, but hers has a completely difference aesthetic. I LOVE the green and red together though! 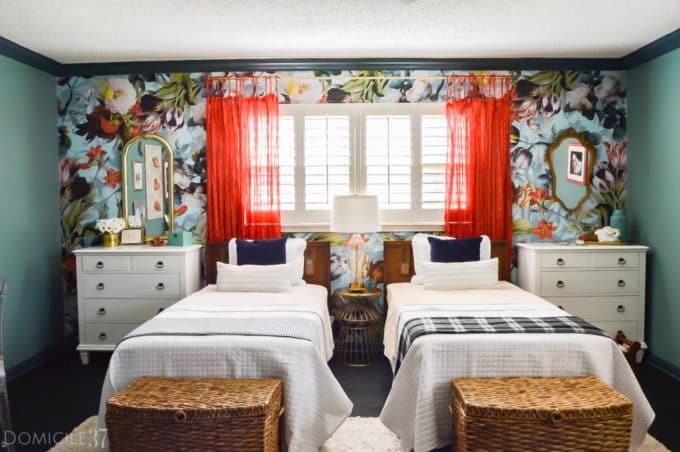 I think this Shibori wallpaper from Love Create Celebrate totally makes this room. I’m also loving that blue rug and really want to get it for my boys room! 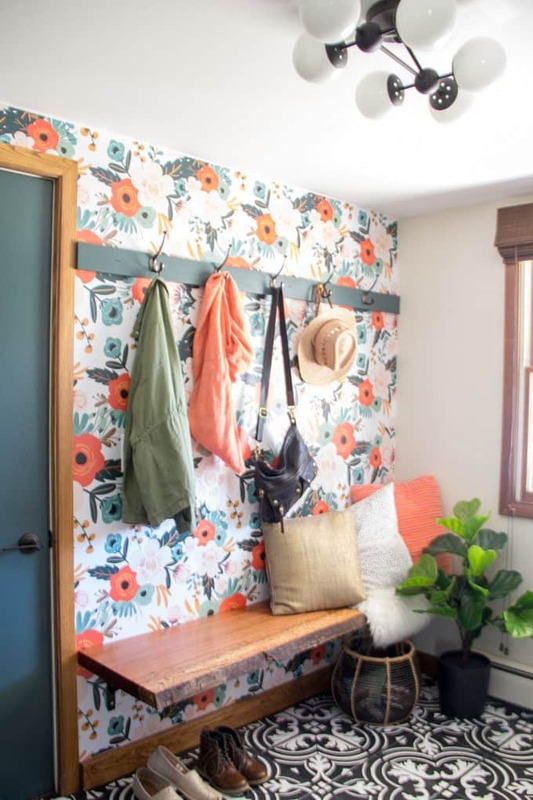 Isn’t this laundry room from The Learner Observer fun? 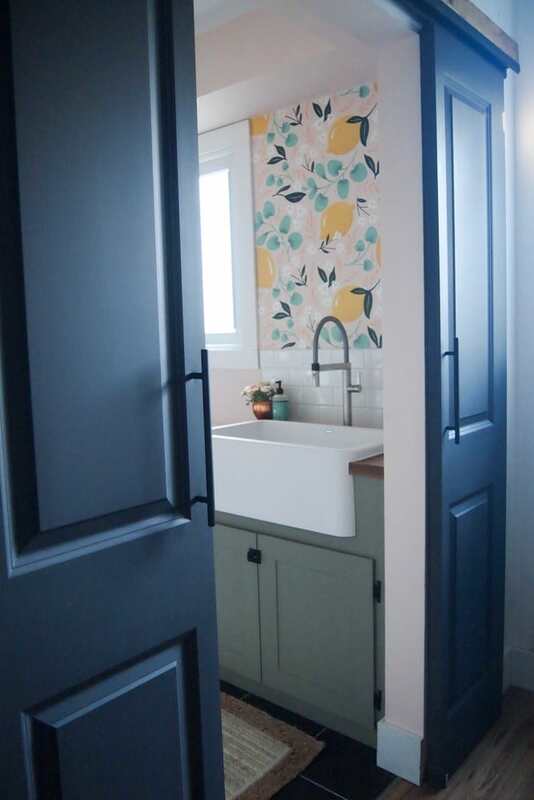 I love that green cabinet color, the farmhouse sink, and that amazing wallpaper. I’m definitely loving wallpaper everywhere these days! How fun is this boys room from Hood Creek? 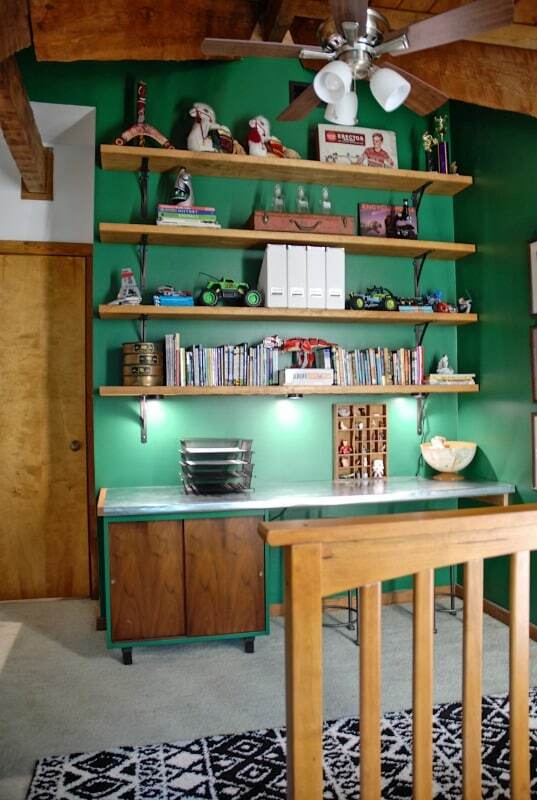 The mix of vintage and modern is great, and I’m really loving that green color. Also, how amazing are those ceilings?! 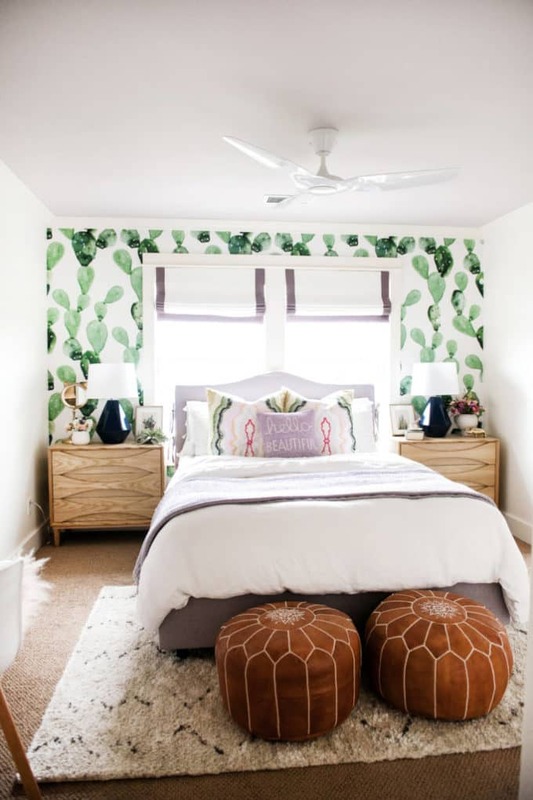 Again I fell in love with this room from LessThanPerfectLifeofBliss due to the wallpaper! 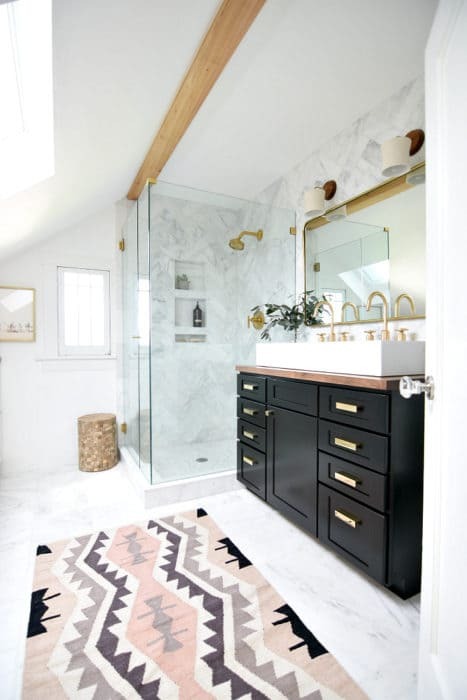 I also LOVE that brass light fixture! Here’s even more great wallpaper from Suburban Bees. I’m also loving how she did purple in such a mature way! 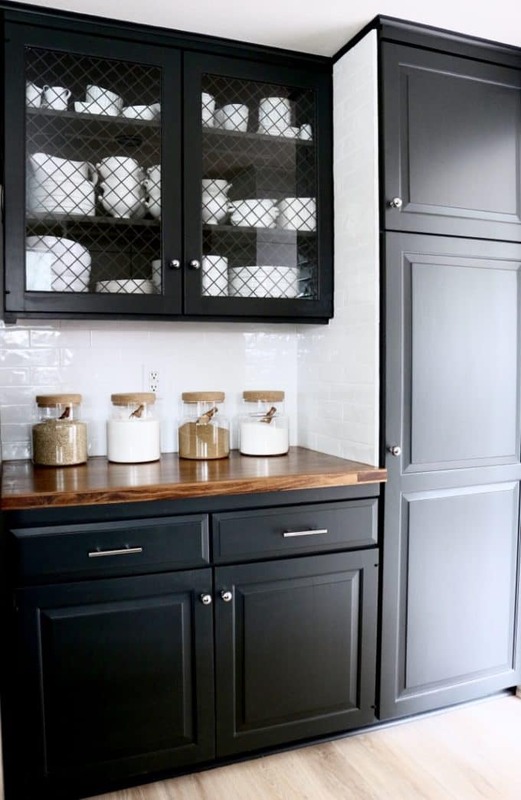 I’ve been contemplating painting my cabinets and this kitchen from Holtwood Hipster makes me want to do it RIGHT NOW! 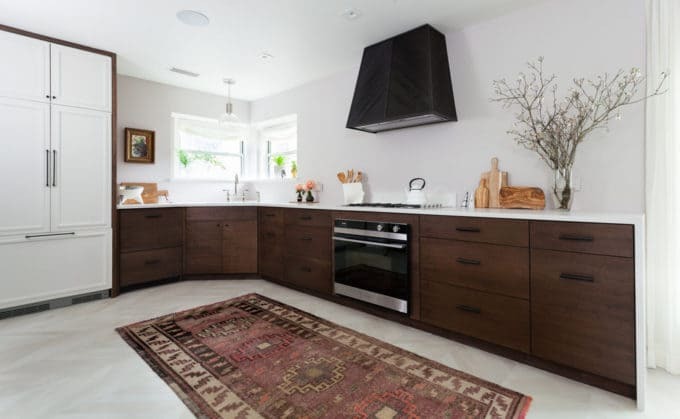 Then I see this kitchen from Erin Williamson Design which makes me want to embrace the wood cabinets! I also LOVE that range hood! 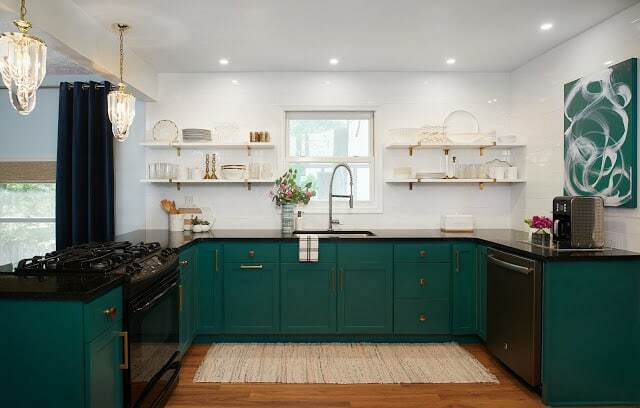 I’ve got pops of green all over my house, but this kitchen from Abby M Interiors made me consider it for my kitchen! Too bold?! I love everything that Place of My Taste does and this dining room is no exception. That bench and table are just too good together. 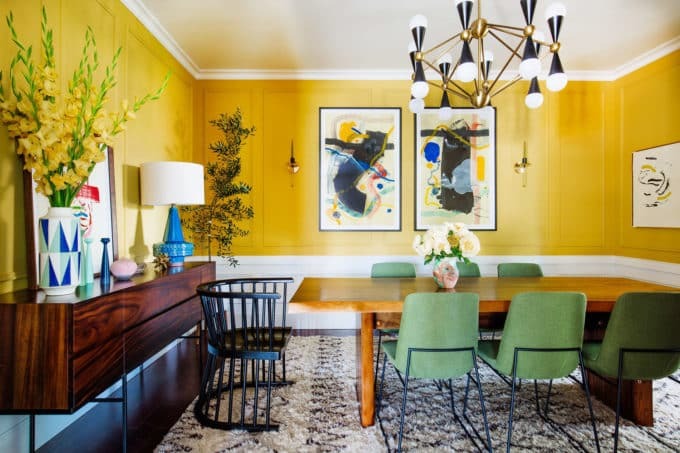 This dining room from Old Brand New is WAY bolder than my home, but I LOVE all the chairs, the table, and the credenza. 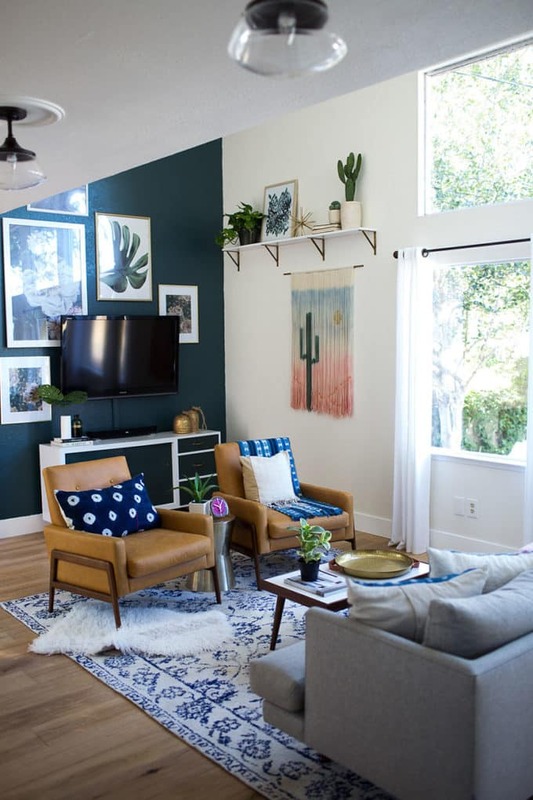 I could totally envision re-creating this space in my home, just without yellow walls! 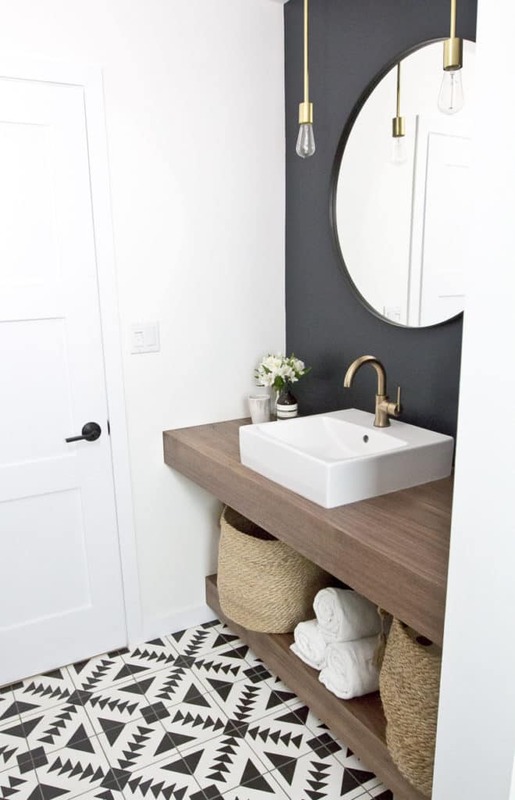 This bathroom from Brepurposed is everything I’ve ever wanted in a bathroom! Industrial mixed with vintage. A round mirror and brass fixtures. It’s amazing. Then there’s this bathroom from House Updated. I love how the black pops with all the marble. I’m also loving all that brass! 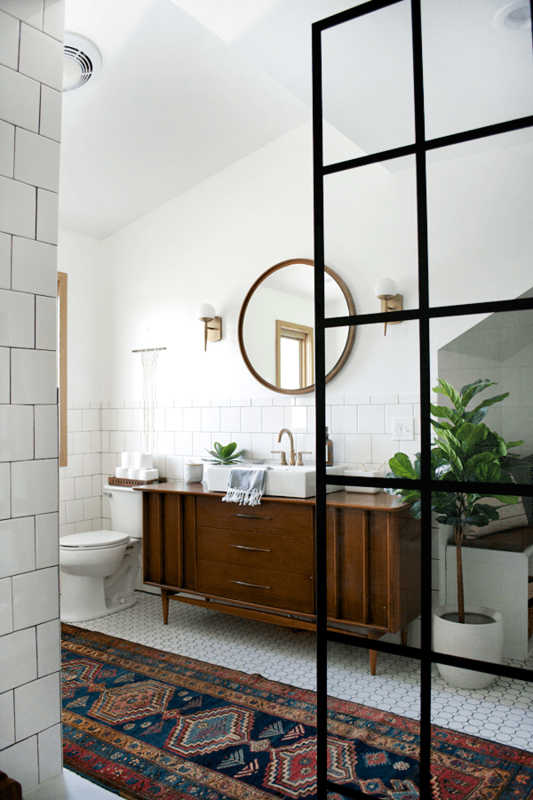 You know I LOVE cement tile, but I also love this vanity from KristinaLynne. Combine it with the dark walls, round mirror, and brass and it’s everything I would put into a bathroom. I’ll finish it off with this bathroom from Little House of Four. 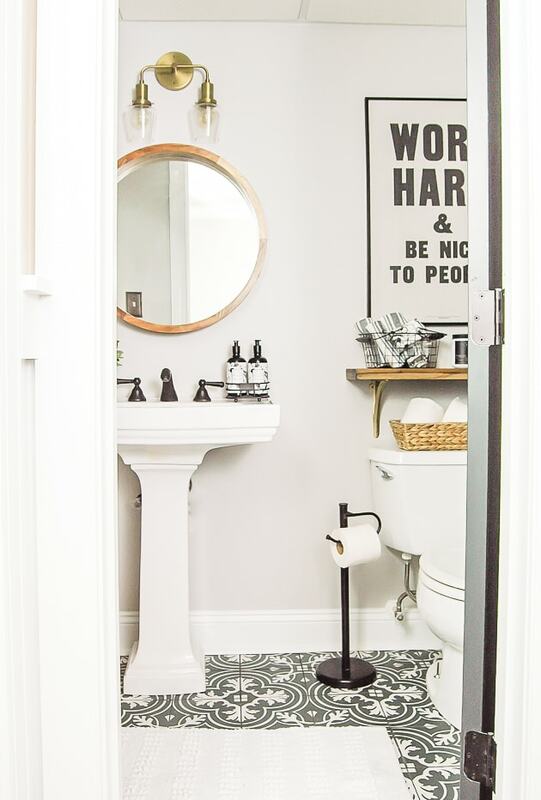 She used the same cement tile that I mimicked through stenciling and I love how hers turned out. Hopefully you loved looking through these spaces as much as I did! If you want to browse through all 250 make sure you check out the link-up here!